Chonda’s next documentary movie, “Chonda Pierce: Enough” chronicled Chonda’s continuing story of struggle, survival and faith. It addressed the introspective question if she, in fact all women, were simply “enough” in the eyes of their husbands, family, loved ones, god and even themselves. The film has been received as an uplifting and inspirational answer to the internal and emotional struggles faced by many women. “Enough” opened April 25, 2017 to 1,510 screens and sold over 100,000 tickets. 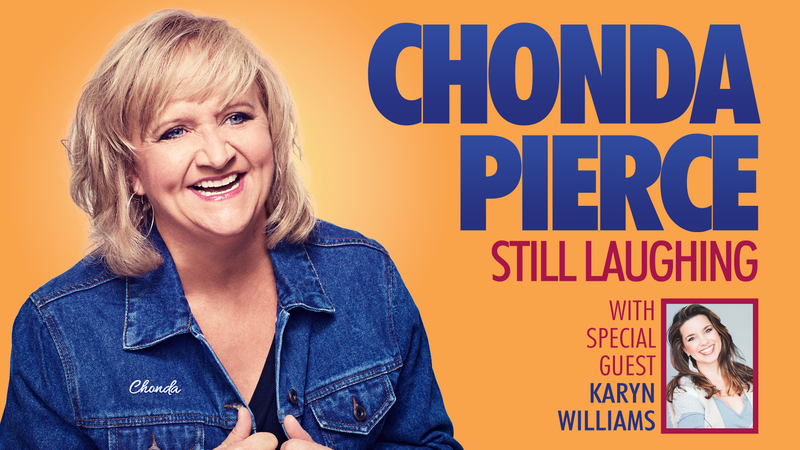 In 2016, Chonda’s stand-up comedy series debuted on the Dove Channel, called “Chonda Pierce: Stand-Up for Families”. The show is a family friendly comedy series designed to encourage entire families to watch television together without the risk of content that might not be appropriate for all ages. Each episode of the series features a stand-up performance by Chonda and her guest comedians. signifying sales of more than 50,000 units, and three have been certified Platinum, signifying sales of more than 100,000 units. In addition to her accolades, Pierce is a frequent guest on famed “Grand Ole Opry” and has served as host of the Inspirational Country Music Awards and Christian Music Hall of Fame Awards and also co-hosted the GMA Dove Awards in 2012. She has also appeared on "Entertainment Tonight," “The View,” “Fox News Channel,” “Wanda Sykes,” “Hallmark Home and Family” and her comedy is regularly featured on XM and Sirius satellite radio. Variety raved about her ability to draw audiences for an encore performance for "Chonda Pierce: Laughing in the Dark." In addition to her comedic work, Pierce has used her success to help others, and in 2006 founded Branches Recovery Center, which offers counseling and treatment to those with depression, anxiety, addiction, regardless of their ability to pay. She has also raised millions of dollars for international relief organizations Compassion International, WorldVision, Food for the Hungry and Feed The Children.